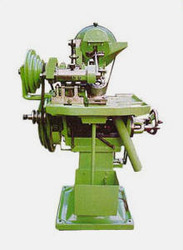 Ours is a favored name in the business, which engages in bringing forth specifically designed and developed Automatic Wood Screw Thread Cutting Machine. Available in numerous specifications, these efficient and ruggedly constructed machines are massively demanded. At our end, the entire range is tested for its performance, before final send off. We are among the pre-eminent names of the business, which engage in the manufacture, supply and export of Wood Screw Head Shaving Machine. Proposed selection is provided in multiple specifications, to meet varied clients’ demands. Manufactured in adherence to the set industry guidelines, these efficient machines are vastly demanded. 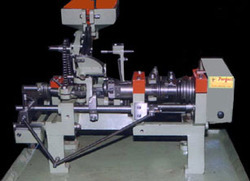 Being one of the preferred choices of our customers, we are involved in manufacturing, supplying and exporting Automatic Screw Head Slotting Machine. Manufactured from advance technology based machines, the proffered assemblage is quite efficient and operationally fluent. 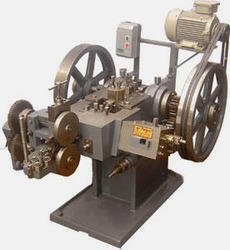 Offered slotting machine is provided in tamper proof packaging. Looking for Wood Screws Making Machinery ?